When do you think of tequila, do you think of wild college parties, body shots, and Tijuana? Me too. * And I’ve never really thought of using tequila for much else besides the occasional margarita. 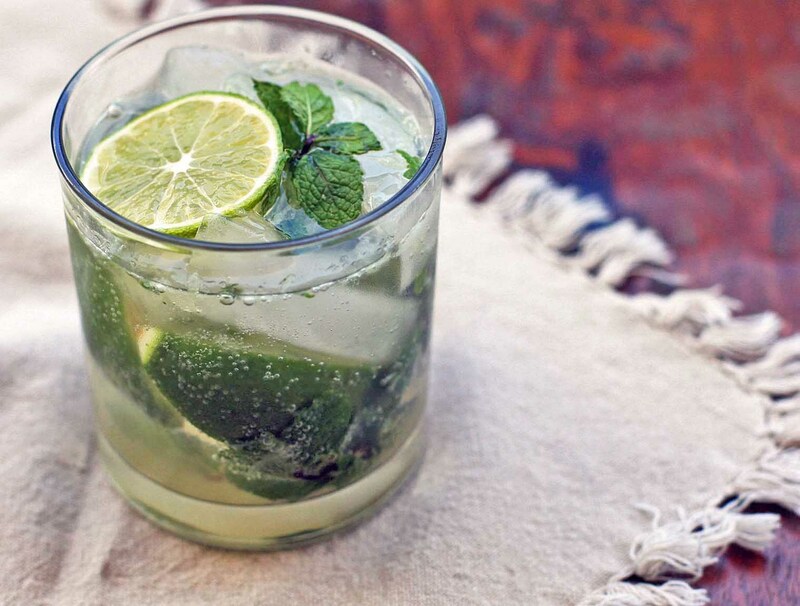 But this Mexican take on the mojito has gotten me rethinking tequila’s versatility. * Mom, don’t worry. I’ve never done a body shot and the only time I went to Tijuana was on our family trip to San Diego when I was like eight years old. In a glass, muddle the mint, lime wedges and sugar (I use a wooden spoon). Add the tequila and stir to mix and dissolve the sugar. Add ice and then the sparkling water. 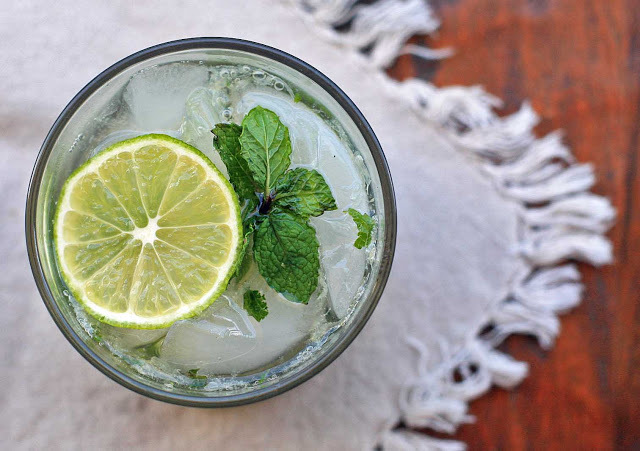 Garnish with a slice of lime and mint leaves, if desired.